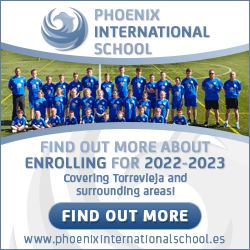 It’s not often that Torrevieja are ranked number one in Spain. However, when being number one relates to not being as Transparent in one’s public and financial dealings, that’s hardly a good sign. Thus was the finding this year from NGO Transparency International (España), who state that they are dedicated to fighting corruption at a national and international level. And so, whichever way you look at it, Torrevieja came last (or top) in a league table of Spain’s 110 largest Towns from the survey. In much the same way that the late Mr. Blackwell’s list of the 10-worst dressed women was very much just a publicity stunt and had zero bearing on anything, this survey is not obligatory for Town councils to participate in. In fact, 18, or almost 20% of the towns sent the survey, chose not to participate. Thus, TI took it upon themselves to obtain as much information as possible through their own external assessment. The survey (which one must remember Torrevieja Town Hall did not fill in) is based upon 80 different areas and including what information is available on the municipal website. 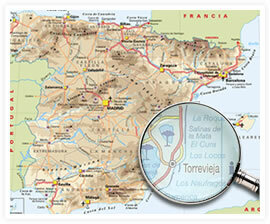 Overall, the TI evaluation of Torrevieja put the town’s transparency rating at just 17.5%, with the average Town being 64%! Not a great result no matter which way one looks at it. Opposition Parties were quick to jump on the bandwagon and state that Torrevieja should make an effort to make all dealings relating to town planning, public works, urban development projects information on the Town Plan (PGOU), municipal work, investment, income and costs. Torrevieja, as the fifth largest City in the Valencian community may just not have the manpower to commit to such a survey, especially with so many public works underway at the moment. One of the Mayor’s policies is for the council to operate with much more transparency, so hopefully this shall result in a better league placing in 2010! Please email Keith Nicol for further information.